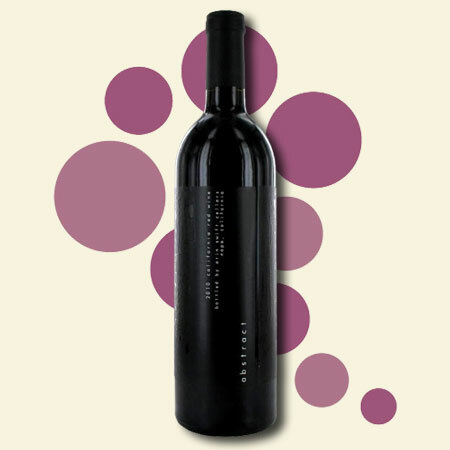 In my last post, I mentioned a Zinfandel/Cabernet Sauvignon blend called THE PRISONER. I was first introduced to this wine around 2003. It was the first Zin/Cab blend that I had ever had, and it was the first wine by Dave Phinney that I tasted. Who is Dave Phinney you may ask? He is the winemaker and man behind several great wines including THE PRISONER. I decided to highlight Dave’s wines as I had the pleasure of going to a wine tasting featuring his amazing reds. It’s quite an experience to taste the different wines of one winemaker. But first a little background on the man. While Dave Phinney was attending law school, he traveled to Italy and became inspired by the whole winemaking process. He decided to go the path of winemaker instead of lawyer. He began his career by working at Robert Mondavi and Opus One. He then went onto Whitehall Lane where he was under the tutelage of winemaker Dean Sylvester. After developing several award-winning wines such as the Zin/Cab blend THE PRISONER, he applied his skills to making the most aromatic, complex and full-bodied wines under his own label, ORIN SWIFT. Fun Trivia Fact: He came up with ORIN SWIFT by combining his grandfather’s first name with his mother’s maiden name. Now onto the wines! I’m not going to get into the specific tasting notes of the wines. That you can get from the website – www.orinswift.com. We started with the 2010 ABSTRACT, which is a blend of Napa, Sonoma and Mendocino Grenache, Petite Syrah and Syrah primarily from hillside vineyards. It’s important to know this as wines develop their unique character and flavors, not only from the actual varietals themselves, but also where they are from. The fact that there are three regions and the vineyards are hillside locations all influence the final product. This wine was aged ten months in new and seasoned French oak. Again – more influences as to what creates the tastes, flavors, aromas and overall experience of the wine. Retail – $29. The next wine was the 2009 D66 – the premiere release from the winery and vineyards of Maury, France. This is the first wine that the winemaker created outside the US. The blend for this wine is old vine Grenache, Syrah and Carignan. Not exactly Santa Rita Hills Pinot Noir! Many of these vines were planted over sixty years ago in a terrain made up of black schist, with small deposits of granite and limestone. Schist is a crystalline rock based soil that retains heat but is poor in nutrients and nitrogen. Whereas that doesn’t sound very appetizing, the result is a dark, concentrated wine that embodies this specific region. It is aged in 30% French Oak for 18 months and aged in the bottle five months before release. Retail – $38. After tasting a bit of France with D66, we moved onto the flagship Phinney wine – THE PRISONER. What can I say about this award-winning wine that hasn’t already been said? Each year, there is a slightly different recipe that creates THE PRISONER. But it’s consistently a great wine. The 2010 vintage consists of 44% Zinfandel/26% Cabernet Sauvignon/18% Syrah/9% Petite Sirah/2% Charbono/1% Grenache. Talk about a true blend! Here is what Dave says about his wine – “Dark red, almost garnet hue with bright red on the rim. Ripe cherry and cedar on the nose with hints of dried rose petal and sweet oak. Lovely entry that leads into a fat and savory mid palate. Ripe fig and black currant dominate the finish with a breadth of soft, well-integrated tannins.” All of that sounds good… but the reality is, the wine is awesome. It has the right amount of structure with softness, and a touch of pepper. Over the years, this wine has gone from a small production cult wine to a countrywide success story. Retail – $38. Going from the Zinfandel blend to mostly Zinfandel (80%) is the 2009 SALDO. This wine first came on the scene in 2007 after the major success of THE PRISONER. The grapes come from Napa, Sonoma, Amador, Mendocino and Contra Costa counties. It is 80% Zinfandel with the balance made up of Petite Syrah, Syrah and Grenache. The wine is kept in 20% new French and American Oak barrels. “Saldo” has several meanings in Spanish, Portuguese and Italian. Roughly translated from Spanish, it means “balance on hand” or “from here and there”. With as many source locations of the grapes, the name suits the wine. Great with pizza or any spicy food. Retail – $28. There were four more wines – Cabernet Sauvignons – that were tasted at this wine tasting that I will go through in the next edition.